On Friday we decided to honor REI’s Opt Outside campaign, which emphasizes outdoor activities over shopping on Black Friday. Our first stop was Mission San Luis, a living history museum of that shows the interaction between native Apalachee Indians and Spanish settlers in the Tallahassee area. It’s a fascinating place and I can’t believe I’ve never been there before. After that we drove down to Wakulla Springs, a favorite childhood summer getaway, in the hopes of seeing some manatees in the springs. Unfortunately all of the boat tours in the near future were full by the time we got there so we only walked around for about an hour, but it was still fun to visit. There was even some beautiful fall color in the trees (not something that usually happens in North Florida), as you can see in the above panorama I took. The reason we couldn’t stay at Wakulla Springs and take a later boat tour was because we had tickets to see “Fantastic Beasts and Where to Find Them” at 6 PM. 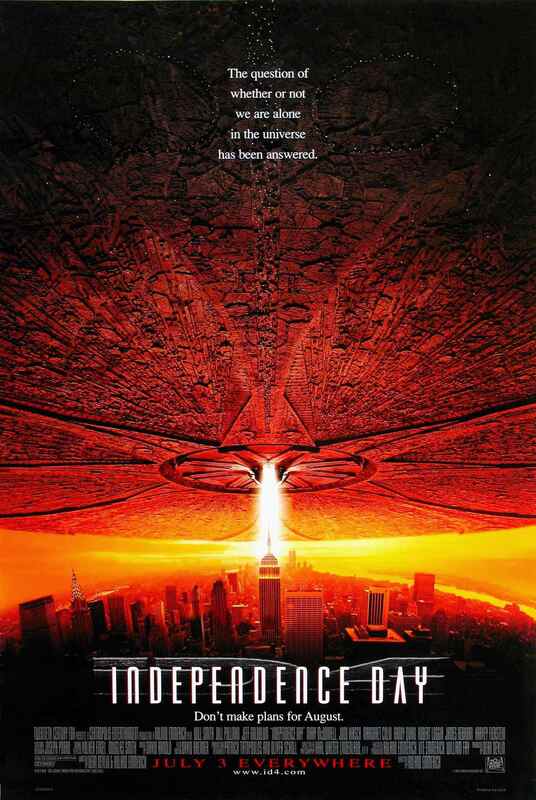 I was skeptical of the movie when it started out slow, but once it hit its stride I really enjoyed the film. I’m excited for the other Harry Potter universe movies that are coming in the next few years. On Saturday morning I got up early again (doesn’t everyone do that on vacation?) because I needed to run 12 miles. I slept later than I planned, and I was worried that it was going to be too warm for my run, but luckily the weather was lovely. I always forget that the tall pine trees in North Florida provide very accommodating shade! Once again we had McDonald’s Egg McMuffins as a post-run meal, which was perfect for me. My mom and I did a little shopping afterwards, but except for purchasing a few things at Old Navy we were less successful than on Wednesday. Our time was limited because we had to get home and prepare for the UF vs. FSU football game that night. We had some leftover spaghetti for an early dinner, and then I set up the Roku streaming stick that I bought my parents as an early Christmas present. Inexplicably, neither their smart TV nor Blu-ray player had the capability to connect to the Amazon Prime Video app so I covertly ordered the Roku streaming stick so we could watch “The Grand Tour” while I was in town. We only had enough time to watch half of the first episode before leaving for the football game, though. My dad got some amazing sky box tickets for the game so we got to watch in luxury with catered food and spacious seating. It was a fantastic experience except for the fact that the Gators lost badly. Florida lost both of the football games I attended this year – I guess I was a jinx! We managed to get out of the stadium a little early after realizing that the Seminoles were going to prevail, and we got home around midnight. My alarm went off at 4 AM on Sunday morning so that I could get ready to go to the airport for my 6:12 AM flight. It was rough only getting a few hours of sleep, but the trade-off was arriving back in Los Angeles in the early afternoon. In spite of the serious sleep deprivation I would have survived the trip unscathed except for the fact that I caught a cold on my flight home. (Luckily it turned out to be fairly mild, and I am feeling 100% better now.) It was a rough end to my Thanksgiving trip to Florida, but I had a great time. Now it’s time to put up my Christmas tree and prepare for Christmas! Our annual holiday potluck at work was on Tuesday, and it was incredible, as usual. I look forward to the potluck all year, but unfortunately this particular incarnation fell on a very busy day. I had an important meeting at 1:30 PM that afternoon so I had to dress up for work. At 5 AM I rolled out of bed, threw on a dress and cardigan (and my favorite Christmas pin), and dragged all of the necessary items for the potluck to work. I needed to get there by 6 AM to start the Crockpot hot chocolate so that it would be ready for breakfast. My first batch, at least. I used the same recipe as last year because so many people loved it. Until breakfast started I prepared for my afternoon meeting, stirring the hot chocolate every 30 minutes. 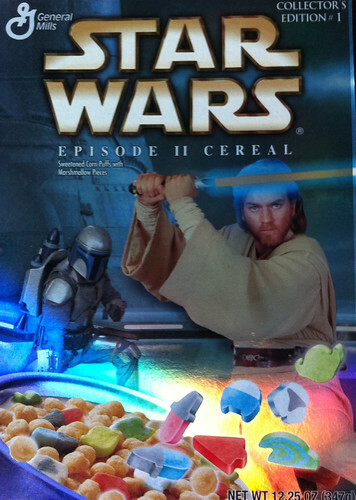 Do you really need to ask what I had for breakfast at the potluck? Scones, of course! I anticipate those little slices of heaven all year, and they never disappoint. This year was no different. I limited myself to two scones that morning because I wanted to have an appetite at lunchtime, but I hoarded quite a few others for future consumption (dessert, snacks, and breakfast the next day). By 9:30 AM it was obvious that I needed to start a second batch of hot chocolate. Some of my co-workers are serious hot chocolate vultures! Luckily I anticipated this and brought enough ingredients to make another batch that would be ready for lunch. Lunch started at 11:30 AM. Unfortunately I had to grab a plate of food and eat it at my desk because I was still scrambling to get ready for my meeting. While poring over my charts I feasted on a delicious combination of chicken salad, meatballs, and manicotti. My co-workers are amazing cooks. I made a batch of chili to share, and this time I combined last year’s bacon chili recipe and this year’s Cincinnati style chili recipe. I didn’t get to taste it myself, but it sure smelled good when it was cooking. I got some good feedback too, but one person told me he liked the regular bacon chili better. I’ll remember that for the chili cook-off next year. My afternoon meeting was really difficult because I was sleepy after stuffing myself silly all day. And being the last presenter at the end of 2.5 hours wasn’t ideal either, but I got through it and everyone seemed happy at the conclusion. Personally, I was thrilled to go home after 11 hours at work and put on some comfortable clothes! I didn’t get to relax too much, though, because I was meeting a friend at the movies that night. For the last two years I’ve been going to Rifftrax’s Christmas show by myself so I was excited when my friend expressed interest in joining me this year. And we had so much fun. 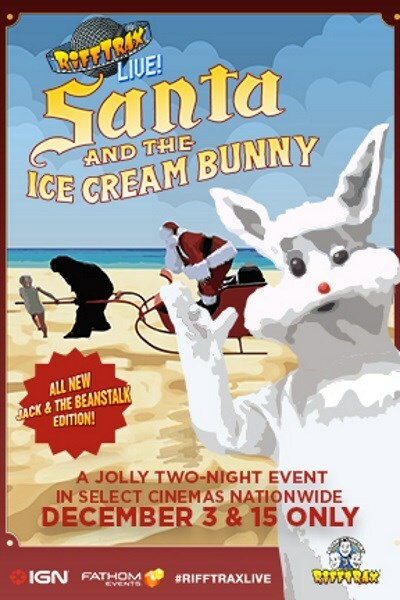 This year’s movie was “Santa and the Ice Cream Bunny” which practically asks to be made fun of. I haven’t laughed that much in a long time. Rifftrax has definitely become one of my holiday traditions. So after the potluck, the meeting, and the movie I had a very long Tuesday, but it was worth it. I love the holidays! It’s no secret that I love Christmas movies. While putting up my Christmas tree (and all of the rest of my holiday decorations – more on that another time) after Thanksgiving I watched “Miracle on 34th Street,” “Meet Me in St. Louis” (a movie for all seasons, but works for Christmas), and “White Christmas.” All excellent choices. Along with all of the old classics, there’s a slightly more contemporary movie that everyone seems to love this time of year – “Love Actually.” It shows up on my list of recommended movies every time I open up Netflix to binge watch old episodes of “Once Upon A Time,” “X-Files,” or “Call the Midwife.” (Eclectic, right? I’m nothing if not multi-faceted!) “Love Actually” used to be one of my favorites too, but due to certain parallels with my own life I just can’t watch it any more. Back in 2010 my ex-husband had an affair. Back then I alluded to difficult times in my webpage posts, but I never said anything concrete about it to avoid completely publicizing my personal struggles. Even now I won’t go into details because it wouldn’t be constructive, but it was an event that changed me forever. More than five years have passed since then, but I still can’t handle the cheating storyline in “Love Actually.” Watching Emma Thompson cry silently to the tune of “Both Sides Now” makes my heart ache like it did back in 2010 when I was hurting more than I ever though possible. Even as the memories are getting dimmer with time, I still don’t like reliving those miserable days. So for the sake of my own sanity I stick to happier holiday fare like “A Charlie Brown Christmas,” “Muppet’s Christmas Carol,” and “A Christmas Story.” Revisiting the past usually isn’t beneficial, but sometimes it helps to look back and see how far I’ve come since that dark time. These days life is good, and this year Christmas is going to be amazing! I started this morning at the San Dimas Turkey Trot 10K. (Yes, I’m crazy enough to have signed up for a pre-Thanksgiving turkey trot in addition to the two races I’m running on Thursday. Don’t worry, I’ve already admitted that I have a problem.) This was the second in a three-part holiday series. The race was at Bonelli Regional Park where I’ve run a couple of other times in the past year. It’s a hilly course so I knew my time wasn’t going to be spectacular, and it turned out to be unseasonably warm so that didn’t help. Needless to say, it wasn’t my fastest 10K, but it wasn’t my slowest either so I was ok with that. No need to push myself too hard before Thanksgiving Day. That’s going to be tough enough! I also got to see a friend of mine and her two adorable kids at the race so was a lot of fun. On my way home from the turkey trot I listened to the Florida vs. Florida Atlantic football game on the radio. I was still running when it started, but I got to listen to the end of the first half while I was driving. Gotta love satellite radio! Unfortunately the Gators struggled a lot more than they should have this week. At halftime neither team had put any points on the board. But then when Florida scored two touchdowns in the third quarter I thought I could finally relax. Not even close. Florida Atlantic answered with two touchdowns of their own to tie the game and force an overtime. Then things got really nuts. The Gators managed another touchdown in OT, but the extra point afterwards was blocked. This was potentially a disaster. The kicking game has been a thorn in Florida’s side this whole season. A missed extra point could be the only thing that separates victory from defeat. All Florida Atlantic needed to do was score a touchdown and not botch the extra point attempt to beat the #8 team in the country. Much to my delight, they were not able to pull off the upset. I was so relieved! After the game was over I had to take my car to the Honda dealer for service. I’ve owned it for over six months and it just now needs its first oil change. Living in Seal Beach means that I put much fewer miles on my car every month. When I bought my car I was promised free oil changes for two years, and I did receive the service at no cost, but it took almost two hours. There’s no such thing as a free lunch, I guess. I did get a lot of reading done on my iPad while I was sitting at the dealer, though. That was a plus. The last thing I did today was go see “The Hunger Games: Mockingjay – Part 2.” I rarely go see movies at the theater any more, and almost never on opening weekend, but I made an exception this time. My weekends have been so busy so far this fall that I figured I’d better make the most of any free time I can scrounge up. I really enjoyed the movie. It was a fitting end to the franchise. The books are still better for anyone who’s wondering, though. Now I just have to decide what to do tomorrow!